I’m your basic chocolate lover! I love to eat and bake sweet chocolate desserts like chocolate chip cookies, brownies and ganache and sometimes, I even experiment with savory chocolate dishes like chili and pasta. So when I saw that Breezy’s, my favorite baking supply store, offered a class where I could learn how to take my chocolate obsession to the next level, I was in! After a long day with my son home sick from school, it was such a pleasure to go to Breezy’s for the Chocolate Galore class with instructor Robin Muchnick. 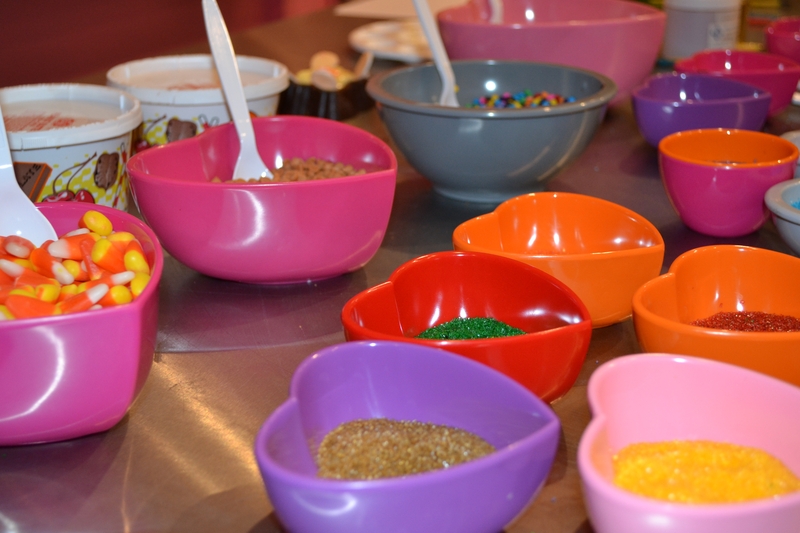 When I got there, I was pleasantly surprised to find an organized set up of silicone molds, transfer sheets, bowls of colored sugar and sparkle, and other exciting treats that I would soon be filling and covering with chocolate. Just remember that the chocolate tips I’m going to share with you don’t even cover half of what you can learn when you actually take the class, but they will give you a taste (no pun intended). I was lucky enough to attend the class with Esther Silber, founder of Couture for a Cause, and her two sweet kids. They were hilarious! Esther was vibrant and asked so many great questions while her kids indulged in chocolate and candy, learning a few great tips and tricks along the way. Her son was especially fond of the chocolate covered strawberries. I think he made at least 20, eating a few during the class and taking the rest home for later. I wonder how quickly those were gone… The first thing we learned was how to melt coating (I call it “melting”) chocolate to the perfect creamy texture. Basically, if the chocolate temperature gets over 115 degrees, it will bloom and the fat will come out of the chocolate and ruin it forever. So you can either melt the chocolate slowly over a double-boiler or microwave for 1 minute, mix, then melt for another 30 seconds and mix until smooth. The greatest part is that you can save any of the extra chocolate you don’t use and then reuse it another time. I never knew that! 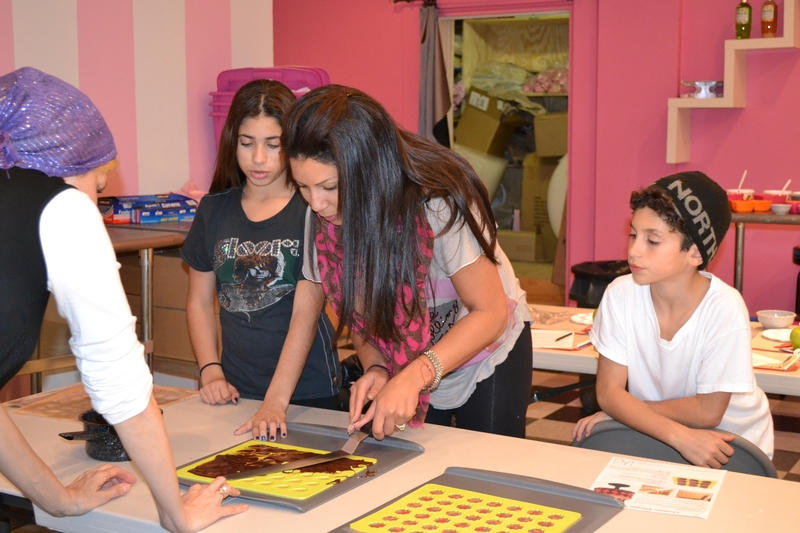 Our first chocolate application was transferring prints on to chocolate using edible transfer paper and silicone chablon stencils. 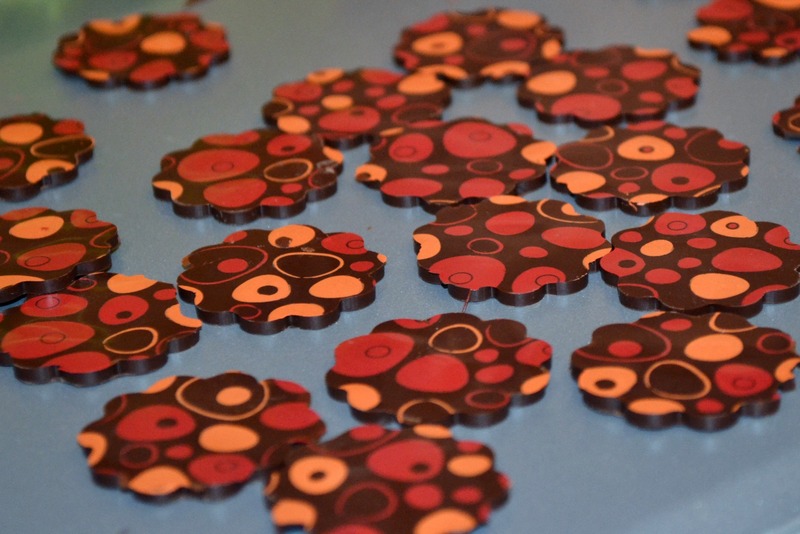 A chablon is a rubber sheet that is used to make thin pieces of chocolate that add intricate edible detail to buffet desserts. 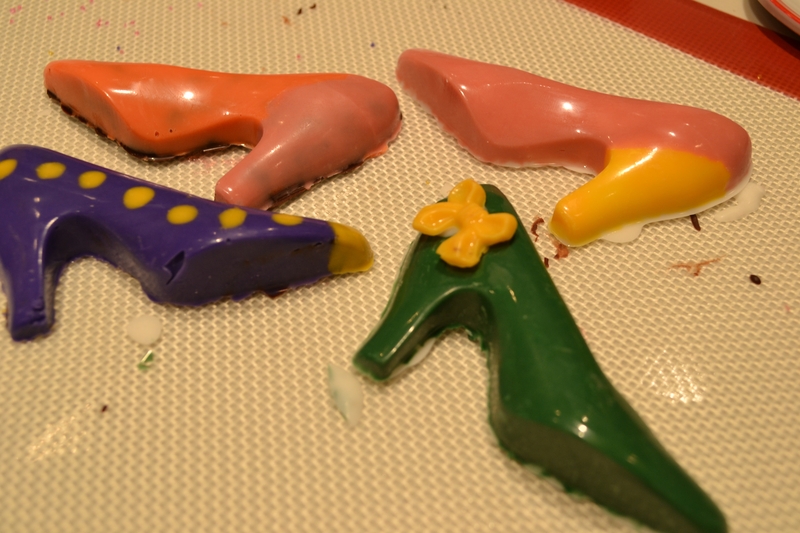 While the chocolate set in the fridge, we moved on to 3D chocolate high-heeled shoes! We used colored chocolate to paint plastic molds (available at Breezy’s) then they were filled with white or milk chocolate and set in the fridge. This is something I have a little bit of experience with since my family used to make our own chocolate lollipops using plastic molds and colored melting chocolate. You can get dairy melting chocolate at a craft store, like Michael’s, or you can get delicious non-dairy melting chocolate from Breezy’s. 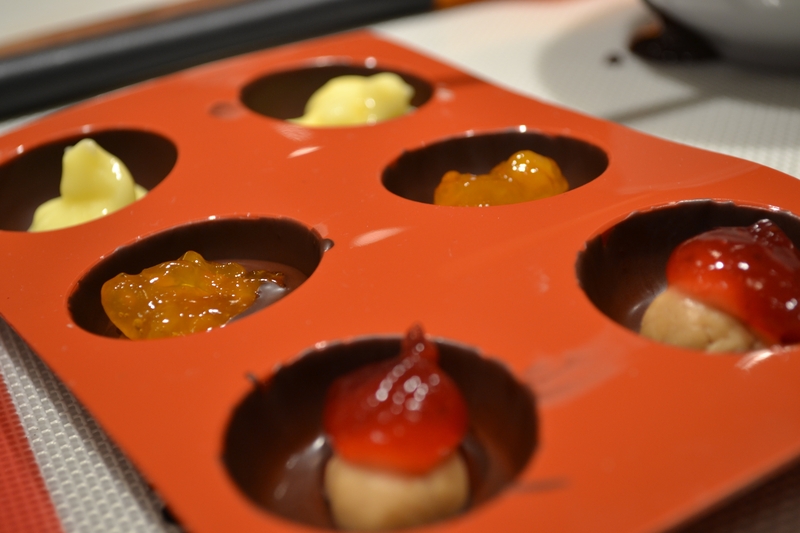 One of my favorite parts to the evening was learning to make shiny truffles using silicon molds. I’ve seen it done so many times on The Food Network and never thought I could make them on my own but it was so simple! 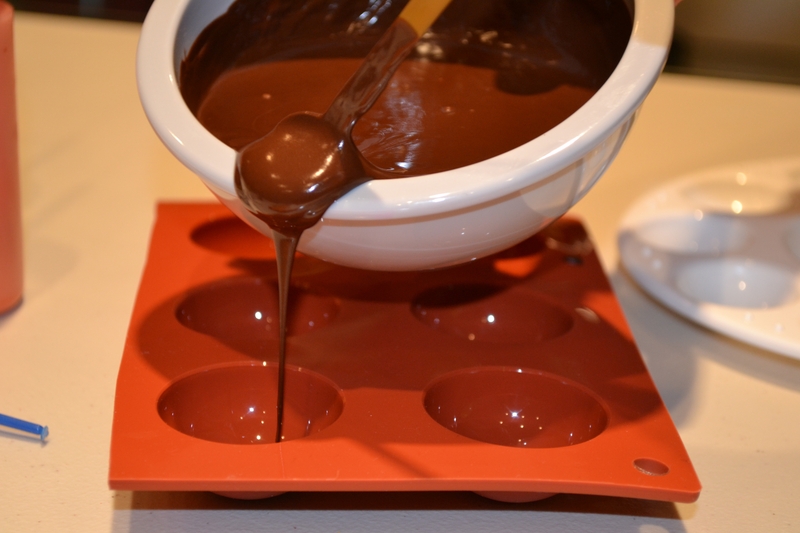 We filled the molds with a little bit of melted chocolate and spread it in a thin layer to the edges. We got to fill the center with whatever we wanted! I chose peanut butter and jelly, apricot, and Bavarian cream fillings. Those were also placed in the fridge to set. While the truffles were setting, we removed the chablon stencils from the fridge, peeled away the silicon and what we had left were adorable little chocolates that tasted as delicious as they looked! Next came the chocolate dipped sandwich cookies, which couldn’t be any easier to do and I definitely plan to make them at home soon. 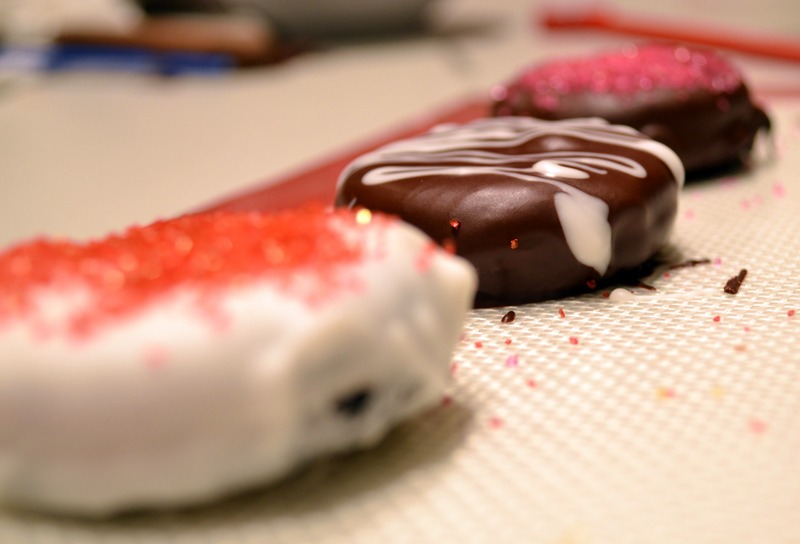 Really, all you do is dip the cookies in melted chocolate and let them dry on parchment paper or a silicone mat. Seriously! That’s it! Decorate any way you want before the chocolate sets. And it just keeps going! 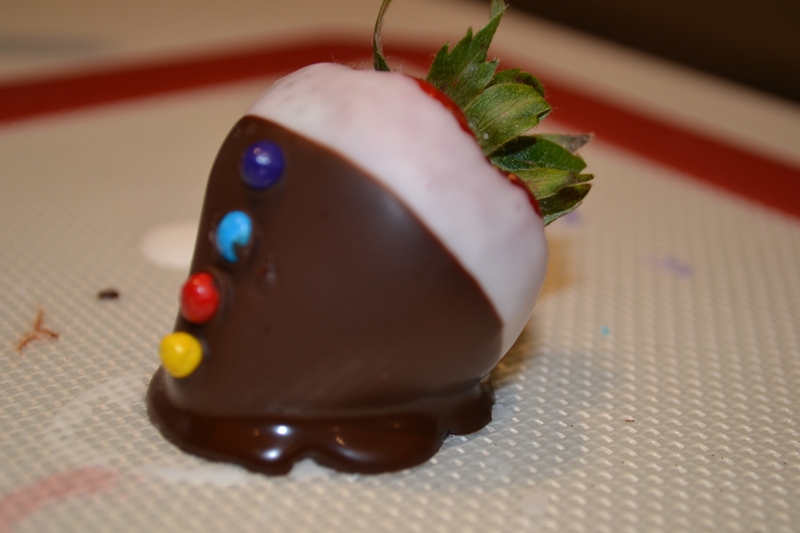 Our final chocolate lesson of the night was dipping and decorating strawberries and apples. 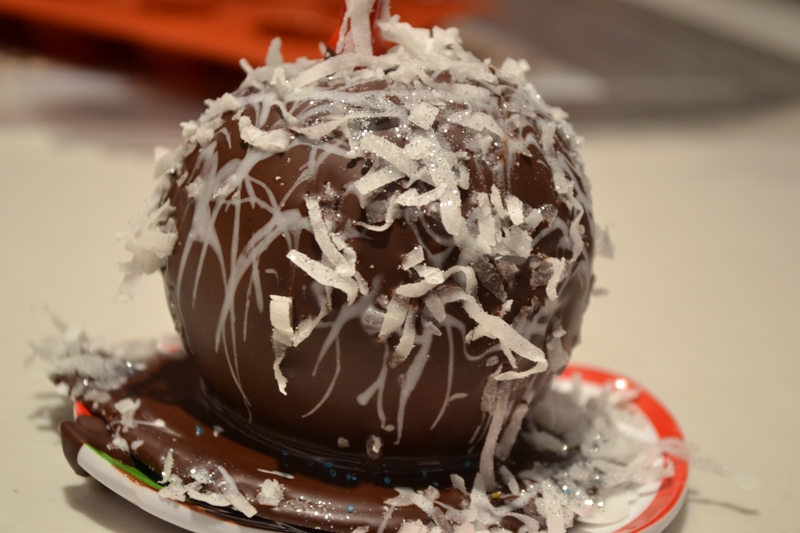 I would venture to say that this was my favorite part of the class because I LOVE chocolate covered apples and fruit and now I can make them whenever I want. Just like the cookies, all you do is dip, decorate and set. 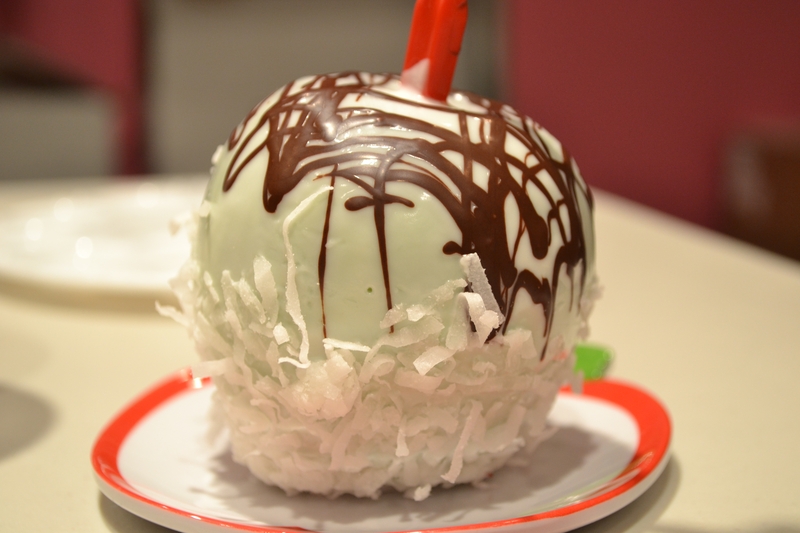 Check out Esther’s sparkly apple! She was really in to the gold and silver sparkle all night and this was my favorite. It just makes me think of snow and would be great for any winter party. I had a blast learning so many new things about chocolate and I think I speak for everyone when I say that Robin was a wonderful teacher. 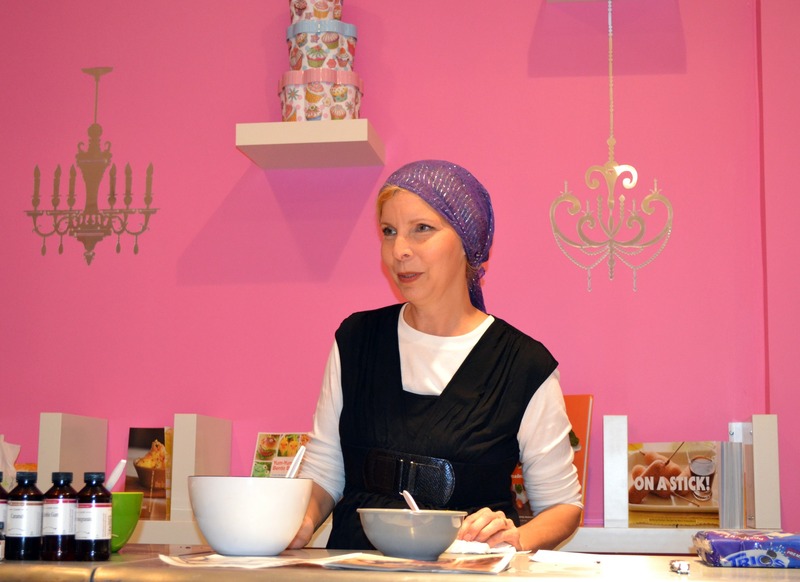 Not only did she share her love for chocolate with us, but she even gave us some fascinating insight in to her personal story. Robin is currently the owner of Sweet Dream Therapy Farm, a family-based farm with gentle, domestic animals that were rescued from various situations and have been retrained for use in all sorts of therapies and for the community to enjoy. Robin is an incredible woman and I hope I get a chance to learn from her again soon. I highly recommend you take the Chocolate Galore class at Breezy’s, or any of the other fantastic classes available. Click here for more information.